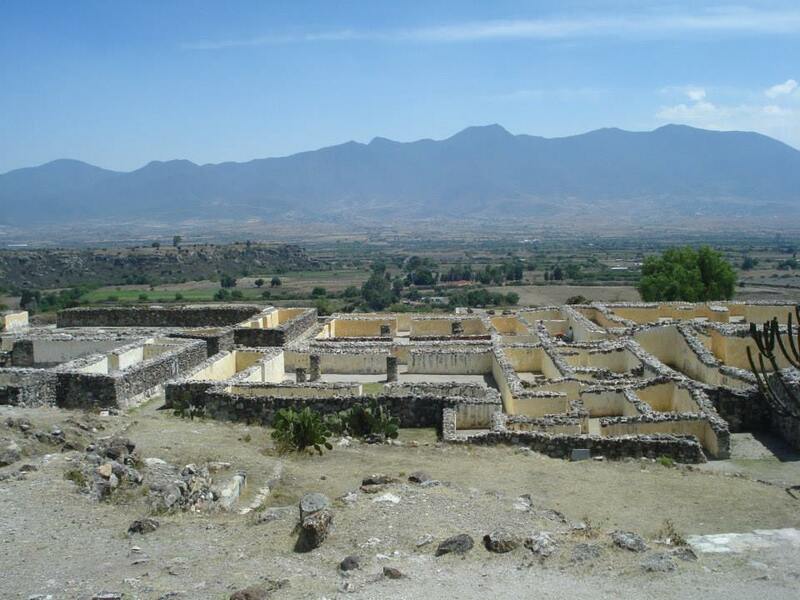 Perhaps the most intense experience I had while traveling in Mexico was in the ancient site of Yagul, in Oaxacan Valley. 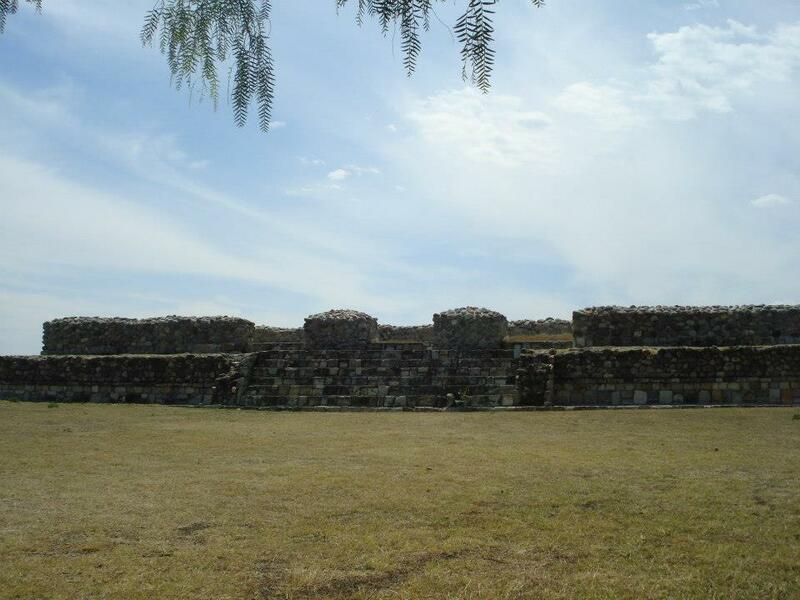 The site was inhabited by Zapotecs, thousands of years ago. There was something special about the mountains surrounding the site, and because it was tucked in and secluded, one could have a richer experience. It was a beautiful sunny day. After walking through this ancient site and trying to get the feel for it, I have sat down under a tree on a courtyard, which in the past has been surrounded by temples. I felt this courtyard had the highest spiritual significance back then, and its positioning in relation to other parts of the city helped strengthen the already manifested wonderment and awe. “Something profound was going on here”, I thought. 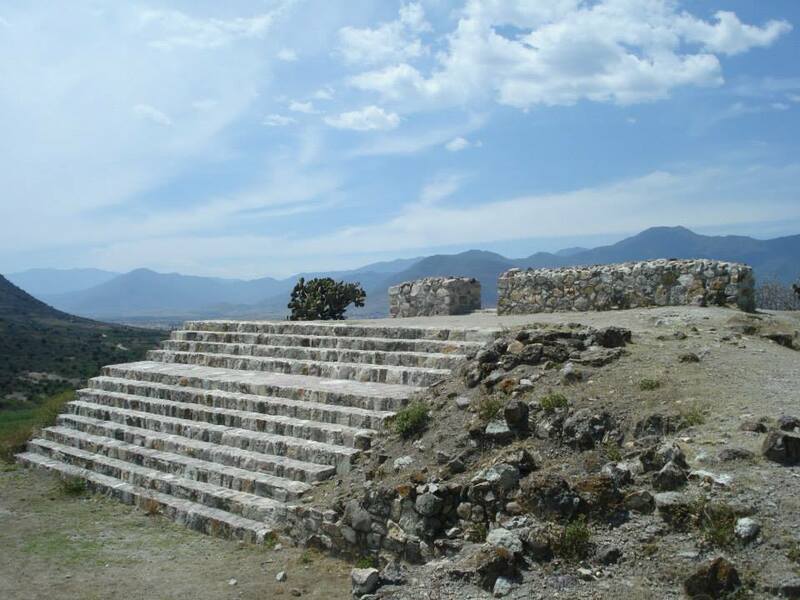 The ancient site of Yagul. So I sat under a tree, relaxed, and went on to silence the mind. Then I visualized that courtyard, trying to perceive how it looked like in its golden age. Images were forming strong, yet most of insights came through feeling. I then stood up, closed my eyes again, and imagined with a strong intent that my body is encompassed by the ancient time, like that trying to perceive through the third eye what is around me. I could feel and sense myself there, thousands of years ago. This method came to me intuitively on the spot, and the results motivated me a lot. Again, images were there, but not as clear as the feeling. In the end I did Runic exercises on that same spot. Doing some of the deeply spiritual runic postures in front of the esoteric temple, was a profound experience. At that point I was connected to the past of this ancient place in way I never knew is possible. It’s hard to describe in words how I felt, and the feelings that were brought about. In front of this temple is where I did the practices. “Our mental screens are impregnated with atoms of past civilizations, and though we think of them as dead and buried, yet within these screens these atoms will still contact us to those civilizations that are now far in advance of our own. And the student can contact their golden ages of culture and intelligence; civilizations that will take this world many centuries to achieve. For example, although Egypt is considered but a remnant of an ardent glory, in the inner planes we can still enter her periods of illumination and wisdom, and discover what the world can gain with such a consciousness. 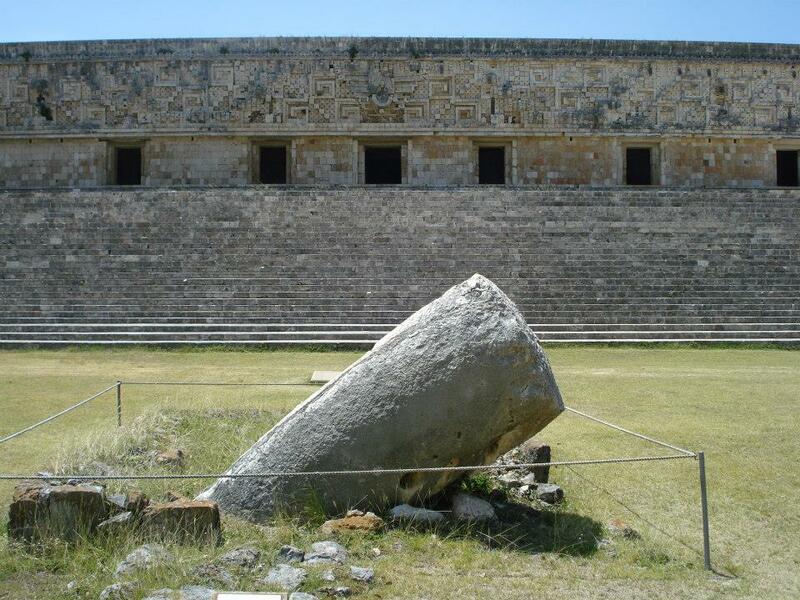 Another interesting occurrence while using the same type of technique happened in the sacred city of Uxmal in Yucatan. That is another sacred site which has the aura of spiritual glory, with its powerful and peaceful energy still imbuing the site. 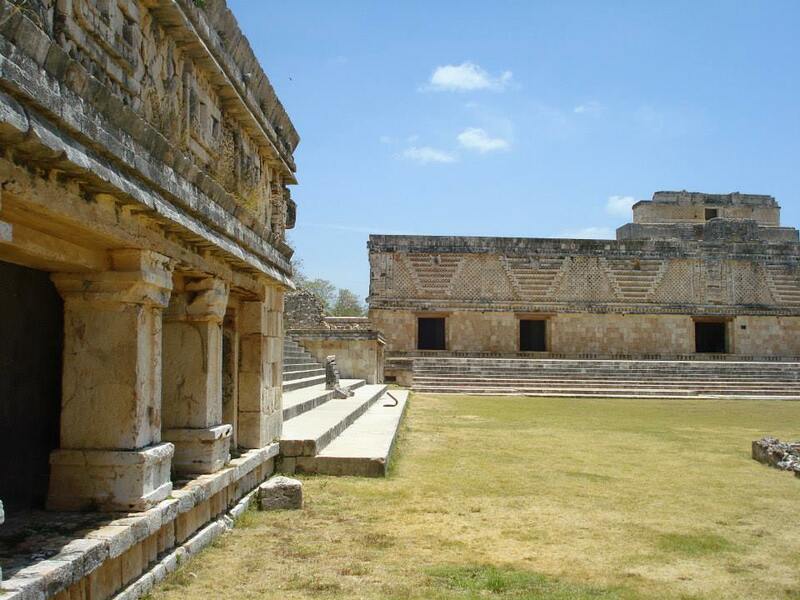 At one point I came before the Great Temple of Uxmal. In front of it was a sign “Climbing is dangerous”. 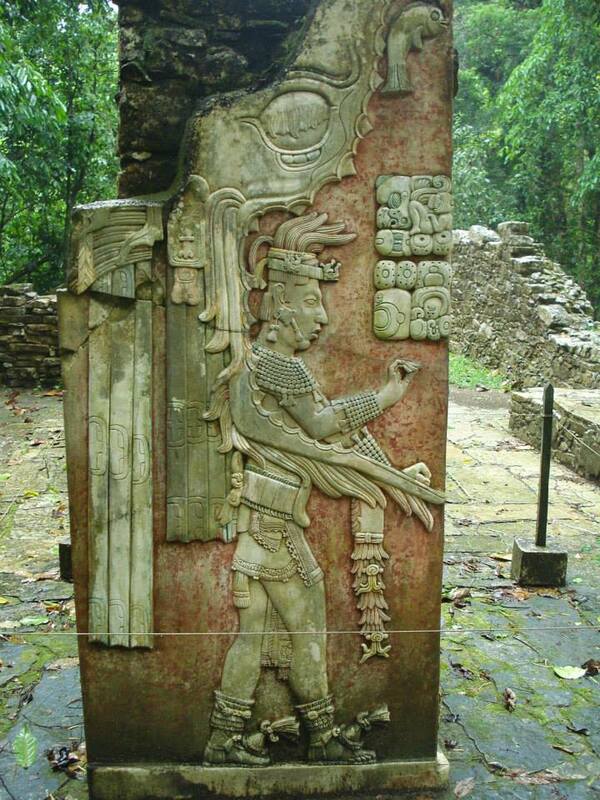 I never saw this sign in any other sacred site I previously visited in Mexico, and so I was somewhat put back by it. The temple was huge, and it had many stairs. I decided to climb up. On top, a Mexican man whom I’ve seen in the bus when coming to Uxmal (he was then reading some interesting esoteric script), was meditating. I joined him in meditation. For a while there was nobody else except us. Granted, due to hot weather not many people were in Uxmal anyways, but lucky for us there was none on this temple (I think that the sign at the bottom had something to do with keeping people away). The Pyramid of the Magican. So I went to meditation, trying first to calm the mind. 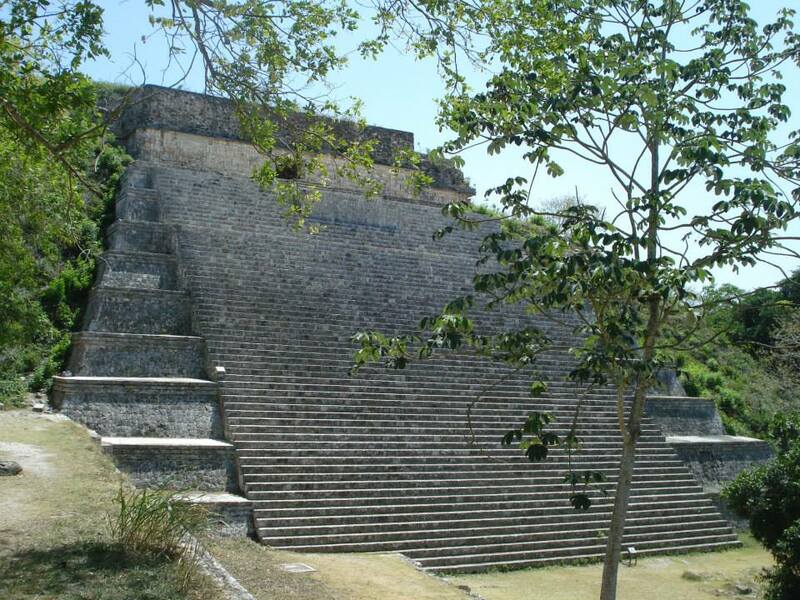 Then I tried to perceive the city of Uxmal how it was in the ancient times. The experience I had up there was very moving and intense. Again, more focused on feeling then image, but the image was there as well. In my mind’s eye I’ve seen the glory and power of this ancient site. At one point I opened my eyes and looked up into the sky. Up there I’ve seen two birds of prey soaring very high up. The silence, the birds of prey, the meditation, the atmosphere and the energy of that place – it seems that all of that had an impact that connected me even more to the very ancient time of the Mayas. I knew that profound things were happening there, that the ancient Mayas were much more advanced then we think of them, and were not the bloodthirsty savages. 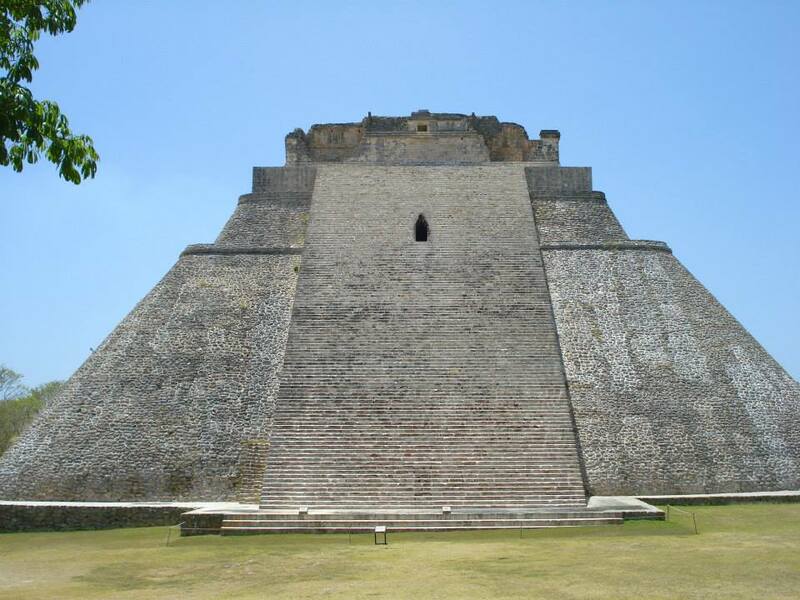 The Great Temple of Uxmal. Alchemical symbolism in front of the Palace. 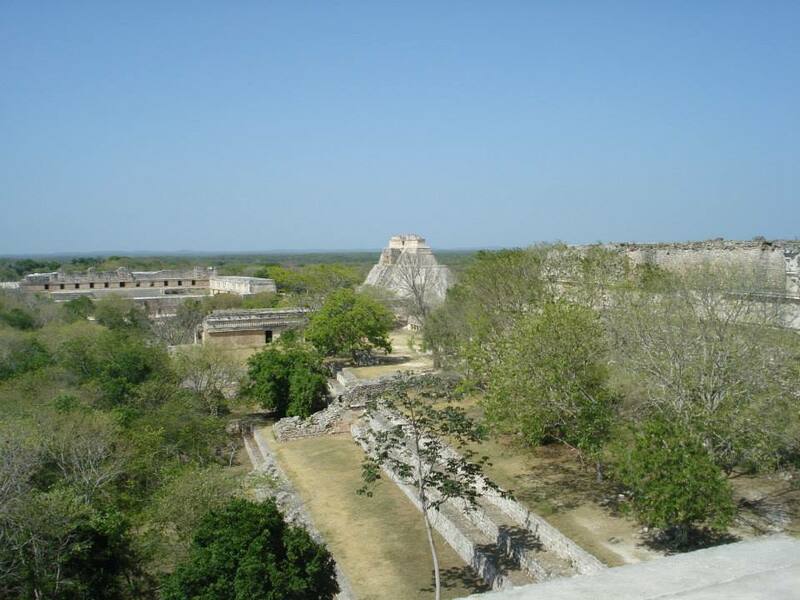 Uxmal is a place of wonder. A place where it seems that the layer separating the past and future is less thick, and at times it feels that it’s not there at all. 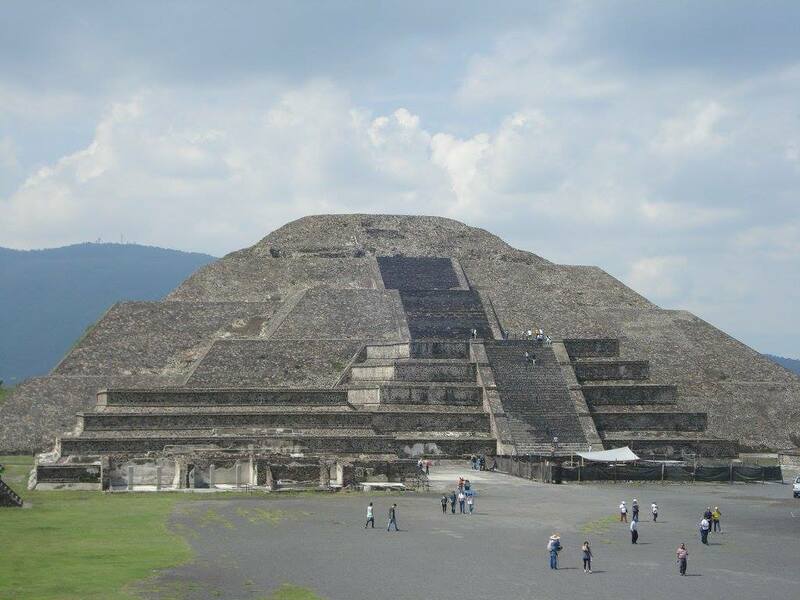 One of the last sacred sites of Mexico that I visited on this trip was Teotihuacan. 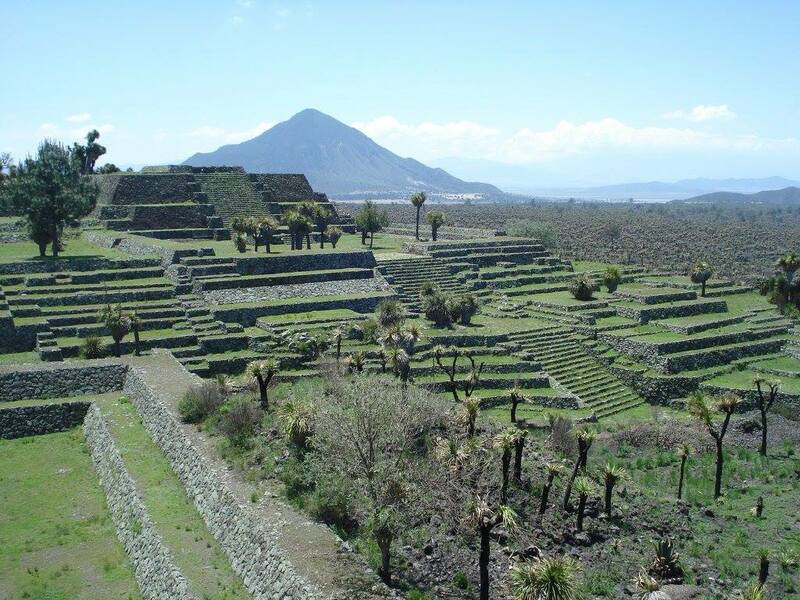 It is believed that Aztecs found this place and that the place itself was built by their ancestors – the Toltecs. The truth is that it’s unknown when this site was built, and it’s also unknown who were the original builders. According to Samael Aun Weor, the Aztecs were much older culture than it is originally thought, and Toltecs even older than them. 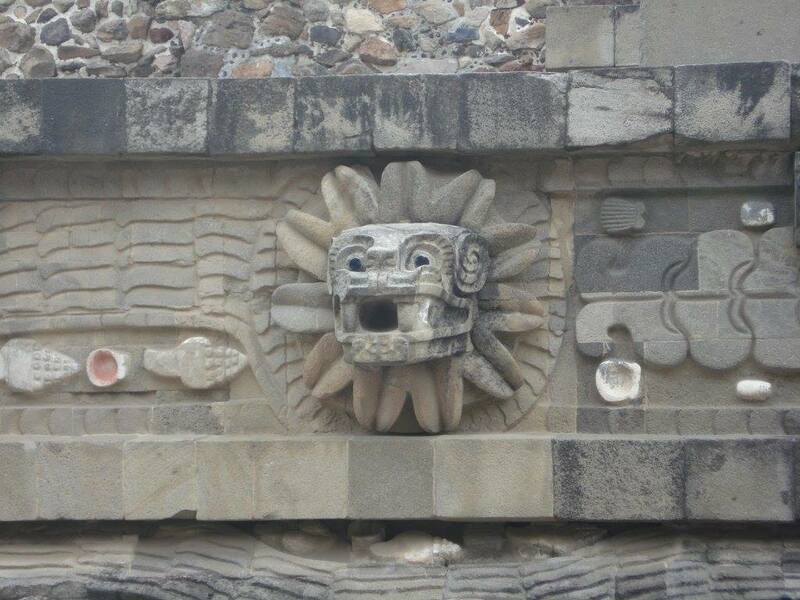 Teotihuacan is another ancient site that has the potential to awaken deeper feelings, thoughts, chakras and more. 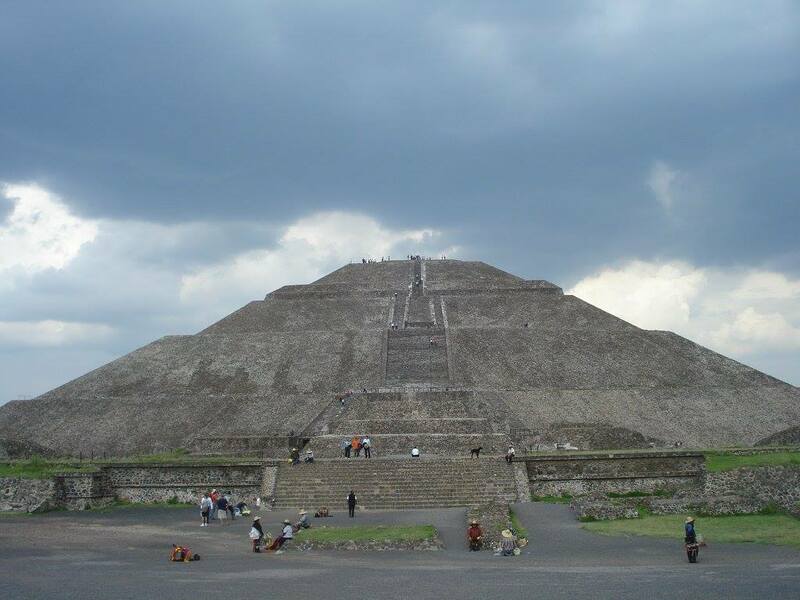 To visit the temple of the Feathered Serpent, to walk along what is now called the Avenue of the Dead, to climb the pyramids and temples on the sides of the Avenue, and finally reaching the main squares, was a profound experience. There were lots of tourists, but since I dedicated to spend the entire day at the site, I had some moments of greater silence. And despite the tourists, the energy is still so strong that you only need a little receptivity in order to tune in to it, and you can open yourself up to that through various spiritual practices, such as mantras and meditation. 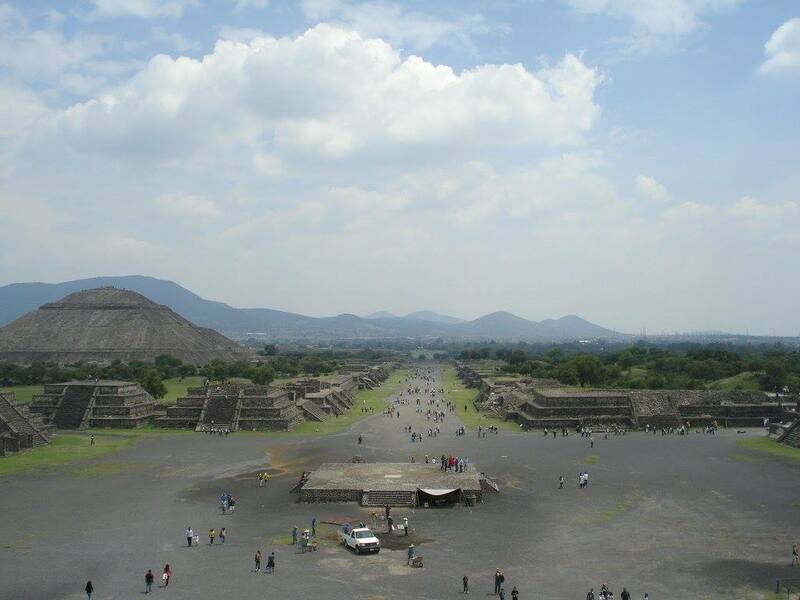 View of the Avenue of the Dead from the Pyramid of the Moon. there was a race, strong and dignified. Their goal was clear. Their life – to reach towards the sky. a city of the Sun. reaches me – it goes through my core, my very Being. To the Sun, to the Sun. To the Father – Mother. To the light. my heart still burns with wonderment and love. to act upon this feeling, this precious gift. To the light, to the light. So that the way of the spiritual not be forgotten.